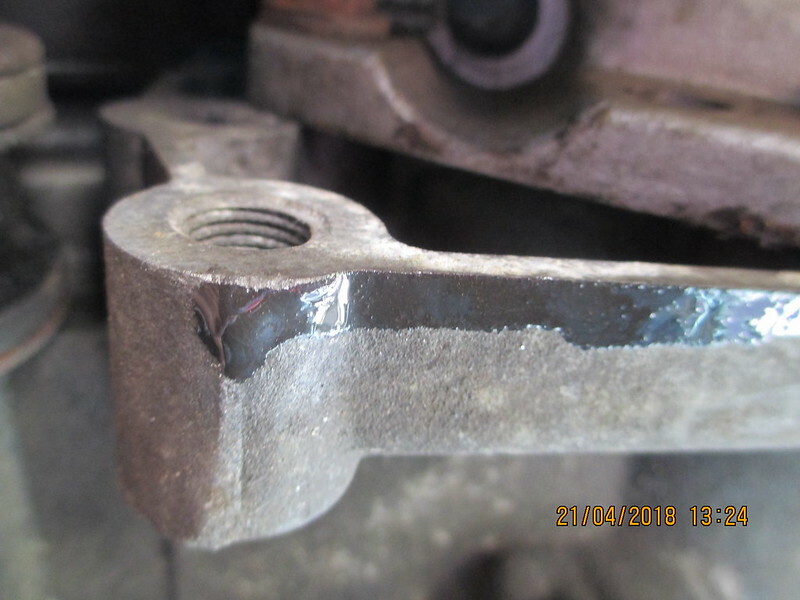 It was a clean break, not stretched or anything, the split in the thread is where I held it in the vice trying to get the easy out out of it. 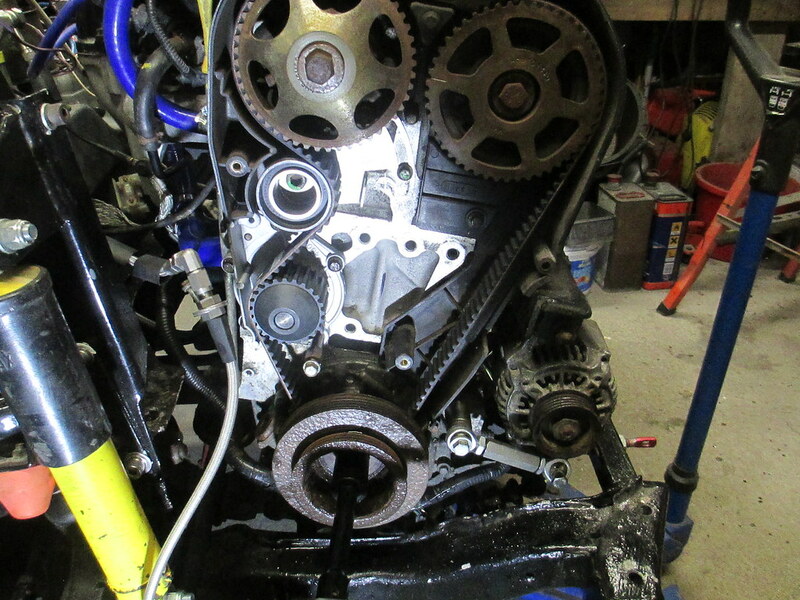 The thing is it has 10.9 on the bolt head! 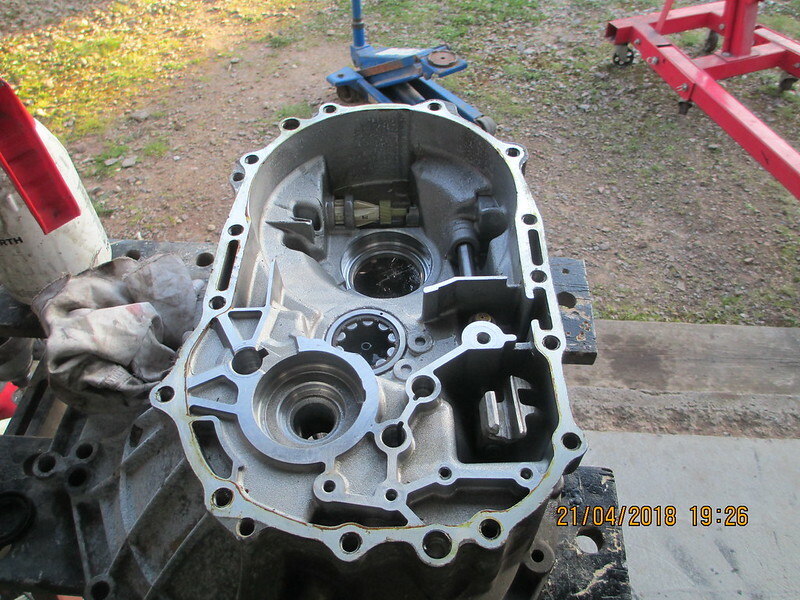 I have bought 2 12.9 cap head's so I'll be fitting one of them instead when they arrive. Yeah I thought that my self when I looked at the bolt! There's nothing to say that the new one's I've ordered are going to be any better! but I can only try them. This may or may not be something to consider. 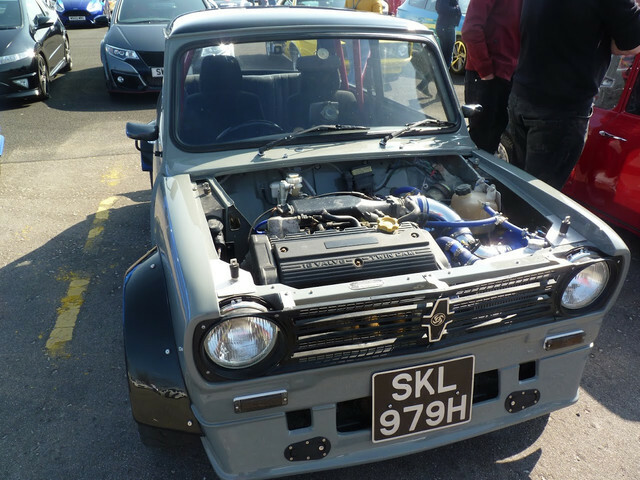 I have slowed my alternator down by fitting a pulley on twice the normal size, so the alternator spins at only half the normal speed. This in turn reduces the vibration. I have snapped two bottom brackets, two top brackets and also had the same bolt snap as you. Far too many people under estimate how fast they spin! I have no issues using the larger pulley. Last edited by AGoaty; 15-04-2018 at 06:57 PM. Where did you get the pulley from Andy? 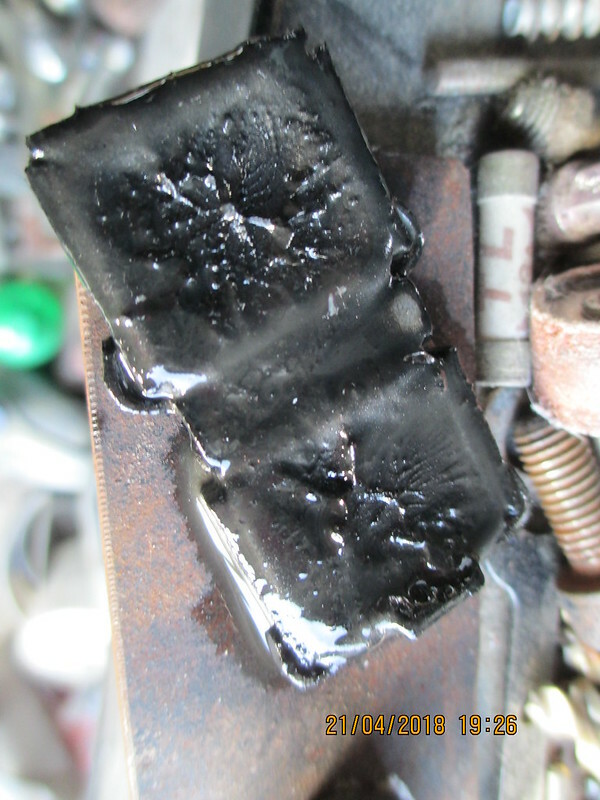 The funny thing is that even with the bolt snapped the alternator hadn't moved and it was still charging. Last edited by Ken555; 16-04-2018 at 03:03 PM. Obviously you need a longer belt too. Mine is a 730mm which is the standard belt for a MG F.
I'm using a small Denso alternator, so I'll have to take it off and measure the shaft diameter and length. Ken, that link won't work. Oh right. 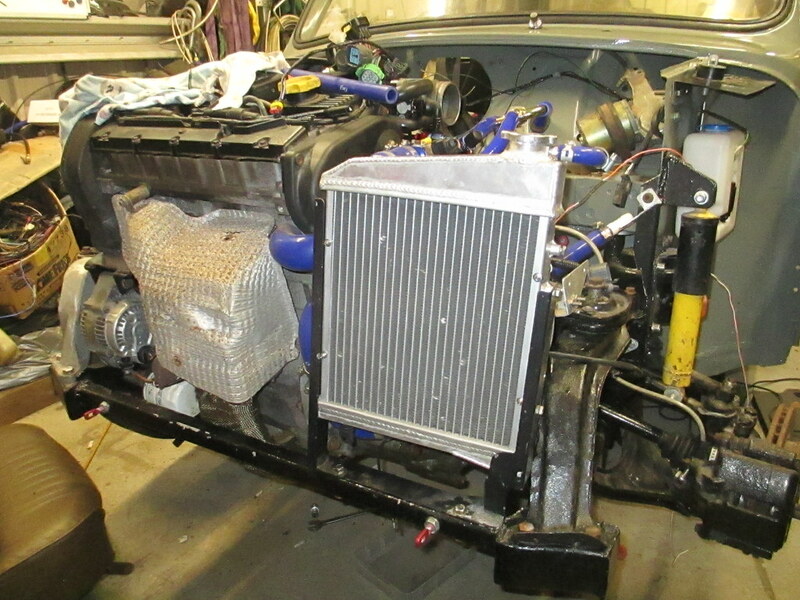 I have looked through your build but cannot find a pic of the top alternator bracket. If the top bracket has a bolt not supported at both ends like the original one has, then that's your problem. As you know the two top brackets I had were designed like that. 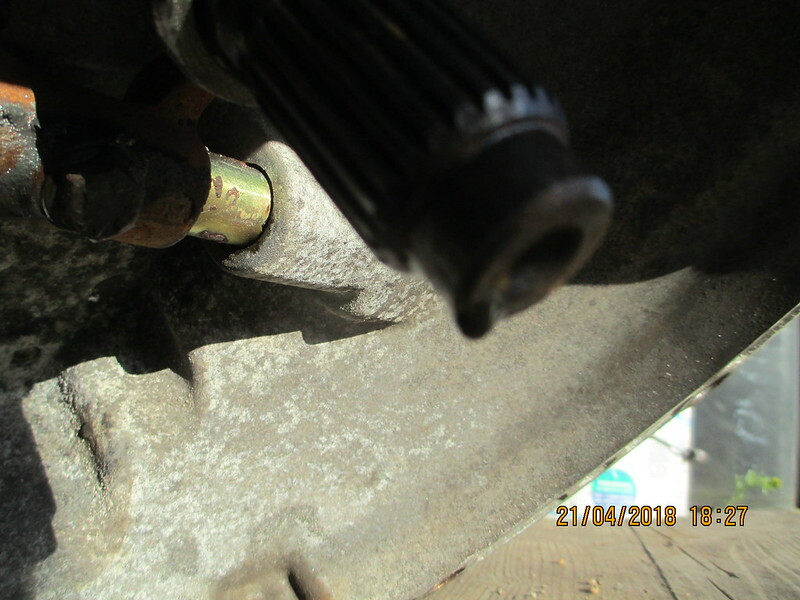 They cannot hold the bolt straight and this in turn means the alternator will flex, only a tiny amount but will lead to more breakages. Silly question but won't a standard alternator fit? It does on mine with a good amount of clearance from the front panel. Last edited by AGoaty; 16-04-2018 at 02:10 PM. Is it just the smaller alternators that suffer from this flex? Nope, Andrew uses a regular alternator and I’ve never had an issue with my little Denso. Usually slight misalignment causing vibrations or poor fabrication is the biggest killer of brackets. Last edited by InstantCustard; 16-04-2018 at 03:13 PM. 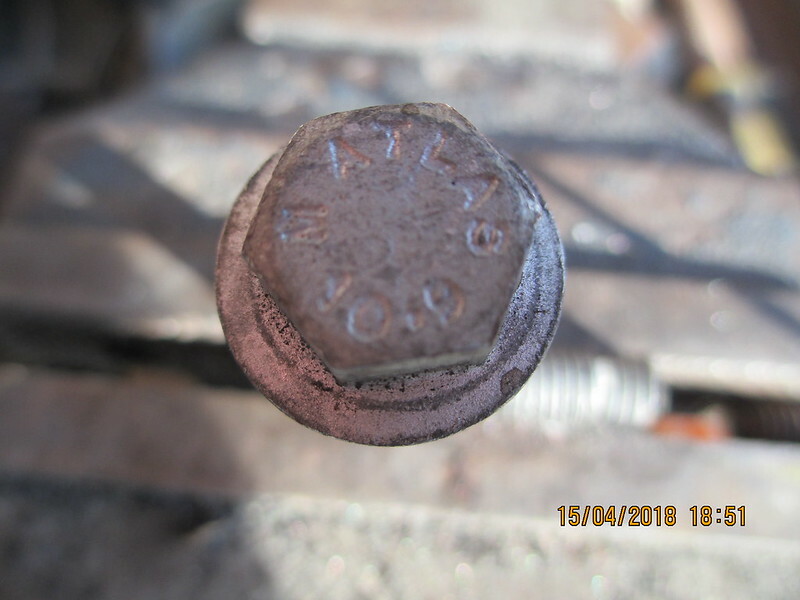 There’s s good chance it’s just a poor quality bolt and nothing more. You can see the end of the alternator & bracket here in this one and the adjuster that I'm using. 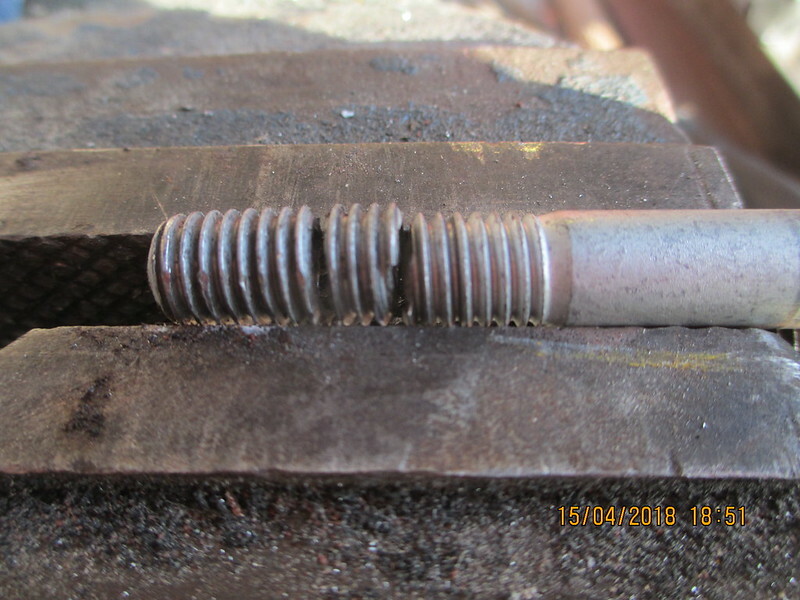 The bolt snapped at the end of the spacer where it meets the block, fortunately there is a O-ring in the end of the spacer so it kept it all together and I didn't loose anything. 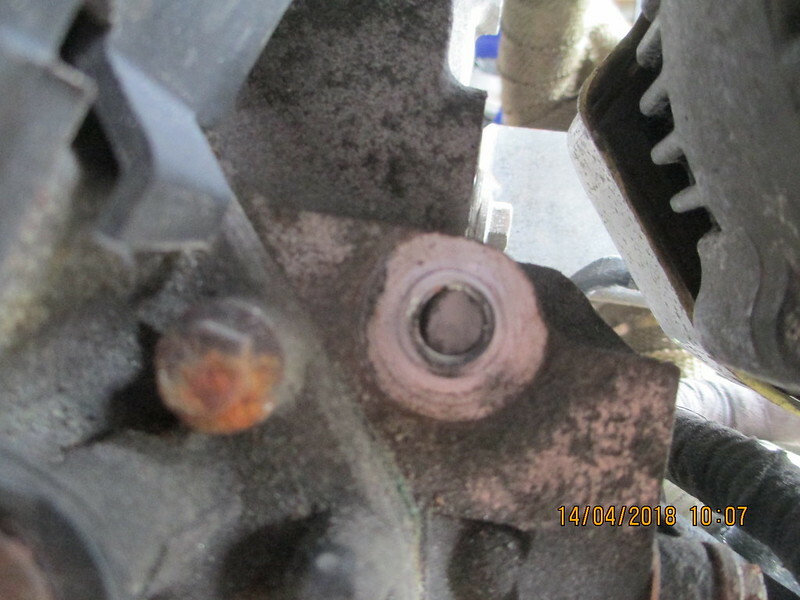 Here you can see the Denso alternator and the angle iron bracket above it, that the bolt locates at each end. I borrowed a set of pulley alignment laser's from work to make sure the the pulleys were inline before finally welding the bracket up. 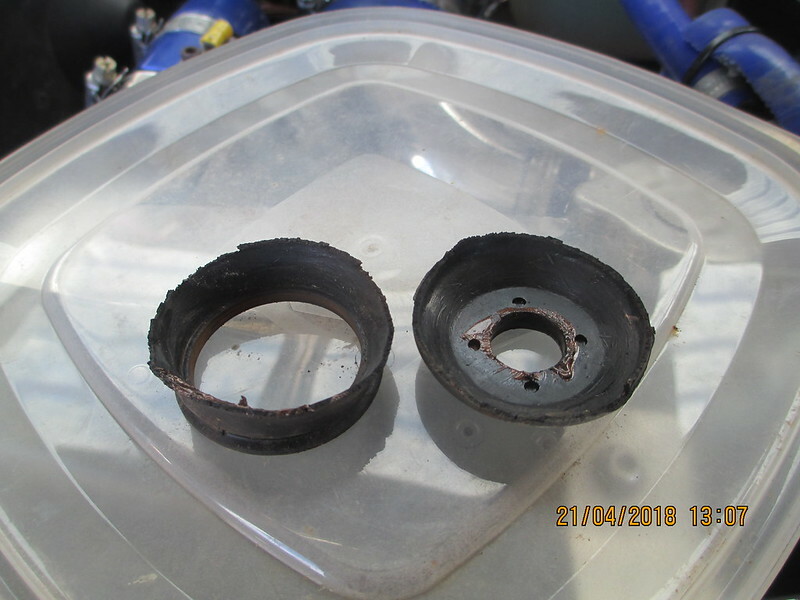 With the standard bracket & alternator on it's into the front panel & I had got the Denso alternator a while ago so I used this one instead of the heavier original one. And the car duth protest again! 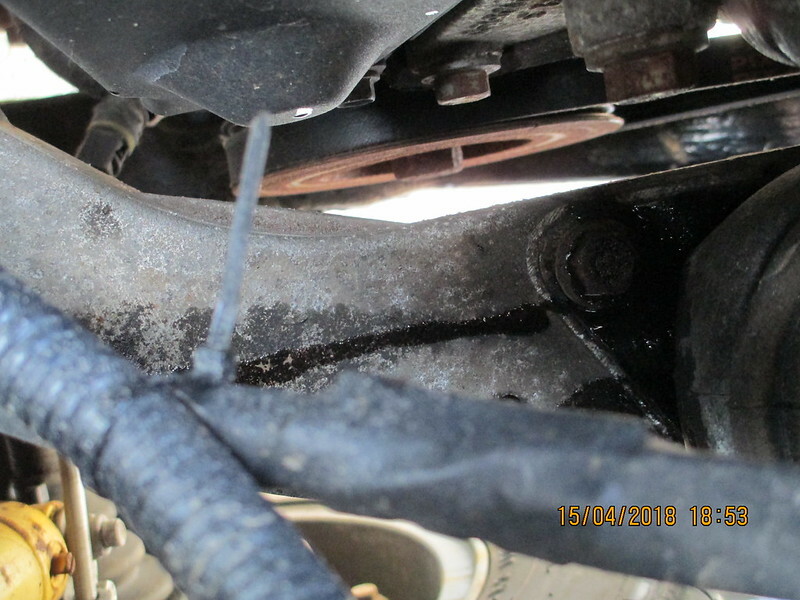 O/S engine mount has decided that it no longer needs the oil damper to be inside of it. 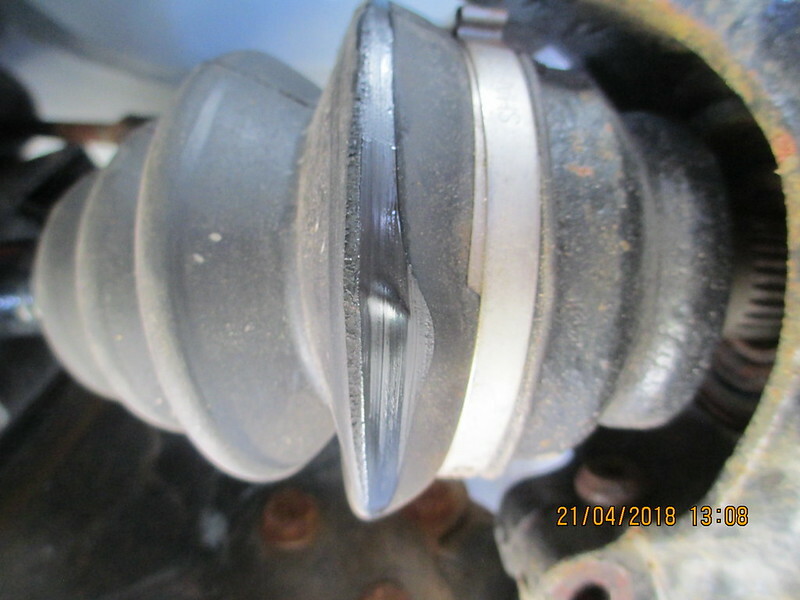 N/S outer cv boot has been rubbing on the hub (ignore the gap on the driveshaft it was when I was taking it apart) These were new boots prior to it going on the road. 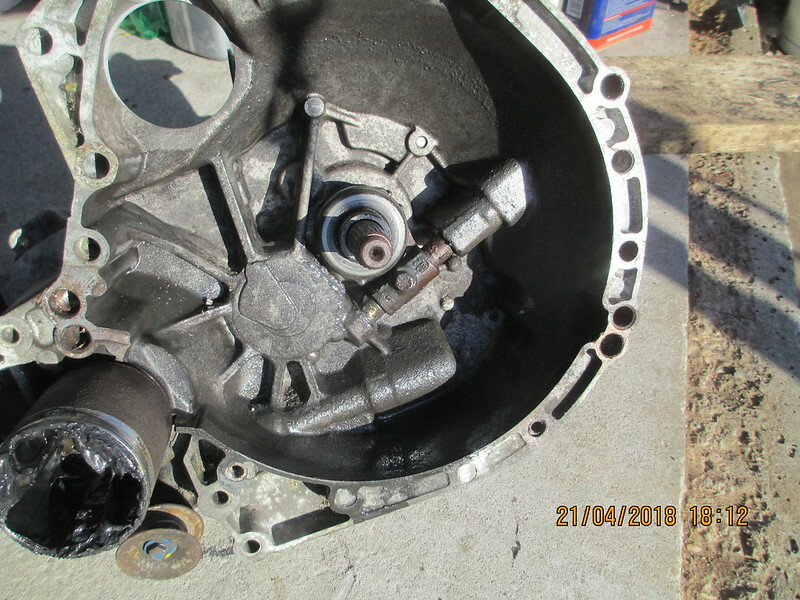 And the gearbox has decided that it didn't want to keep all the oil inside, again when I rebuilt the gearbox it has had all new seals and up rated bearings fitted. 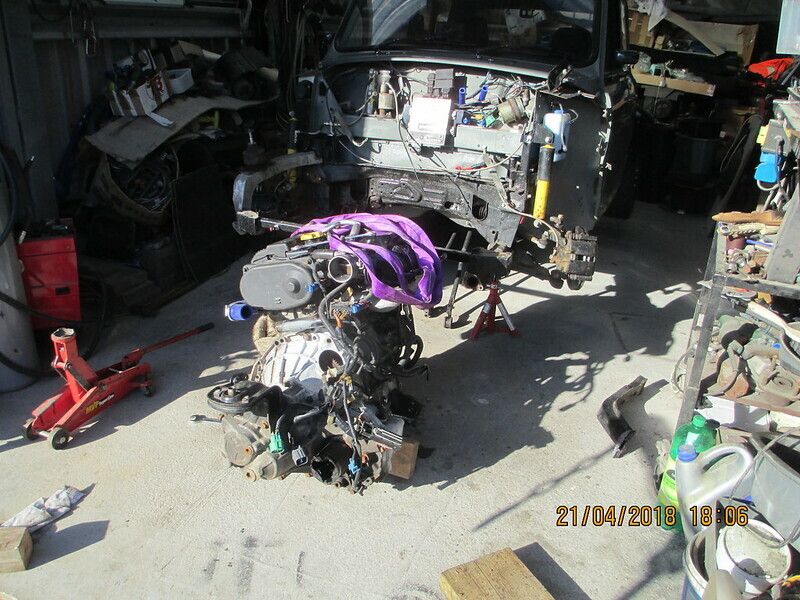 So out came the engine and box for a bit of open heart surgery! 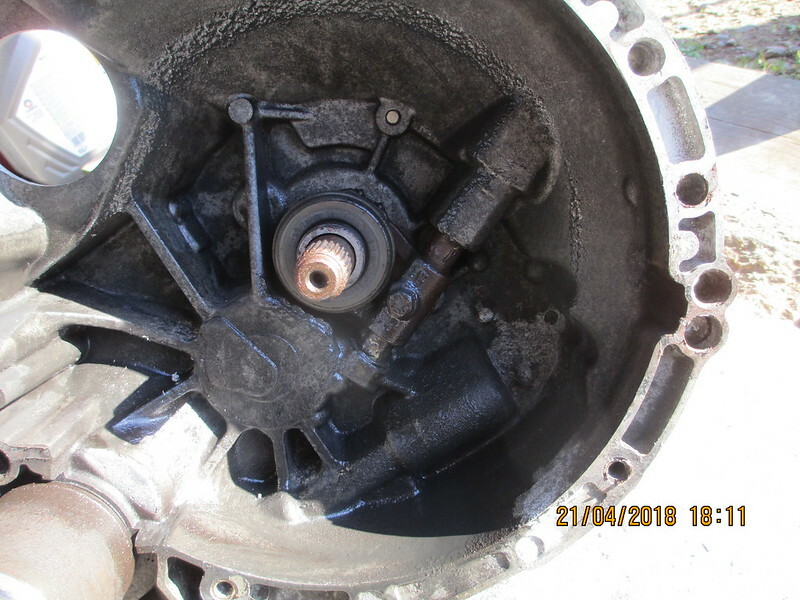 With the gearbox tilted up you can see a dripper forming from the input shaft seal. 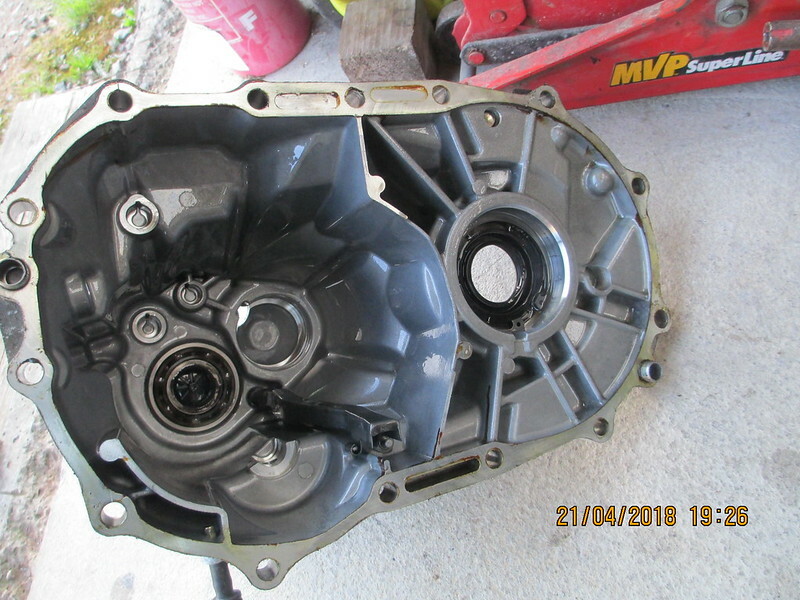 So I've stripped the box and checked the the input shaft and the O/S drive shaft as this also had slight weep and can't see anything wrong with them, no burs, grooves or scratches, so I'm at a loose as to why they have started to leak within such a short while of being built/driven? 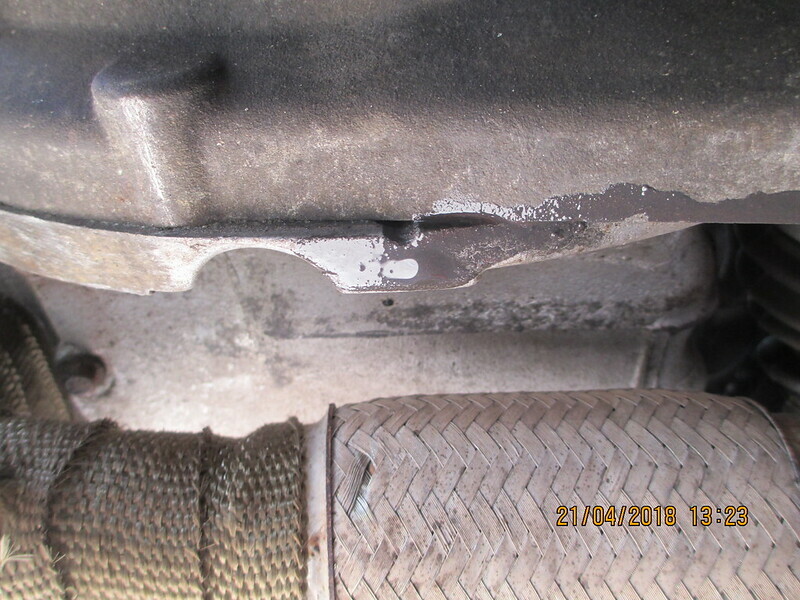 Although I've only done 500 mile since getting it on the road the gearbox oil was quiet dark from the yellowish colour that went in and there is a slight build up on the magnet but nothing gritty just a fine like past.